My other love is Origami. When your fingers need a rest from playing bass, you might enjoy folding paper. My Marigami Origami site is devoted to spreading the passion. 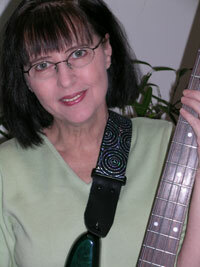 I started this bass guitar related site because I wanted to give something back to the bass playing community. There are so many great free resources on the Internet and this is my way of say thanks. At any rate, that's what I do in my spare time. For daily work, I write and sell computer card games, design websites, create online databases, etc. If you like the the free music reading/bass fretboard software or the bass wallpapers, you could buy one of my software card games so that I'll have more time to work on the free stuff. ðŸ˜‰ Links to my site are appreciated as well. Or you could just send me an email and say something encouraging or funny. That works for me too. 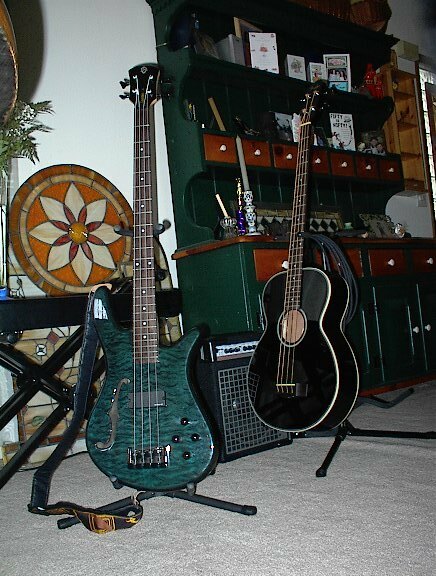 I started learning to play the bass in 2003 in order to let Rich be free to play lead guitar while his daughter played rhythm. Occasionally Rich allows me to touch his 50th Anniversary Edition Fender Precision bass. 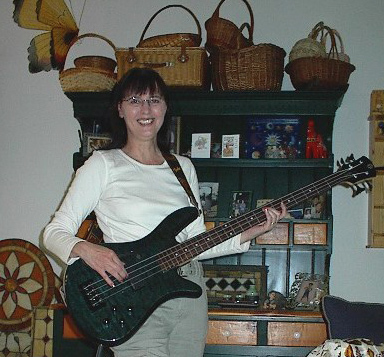 Mari and her favorite bass. 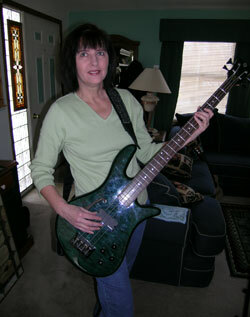 I got this bass for my fiftieth birthday. Yeah, that's the big FIVE-OH.